HobokenWeather.com is based in Hoboken, New Jersey; located directly across the Hudson River from Manhattan. The weather station is located in midtown at 7th & Bloomfield St. The coordinates are 40.7411 Lat., -74.0312 Lon. and is at an altitude of 23 feet above sea level. It is roof mounted, 40 feet above Bloomfield Street. The station has been online since April 2016 and HobokenWeather.com went live in June 2016. 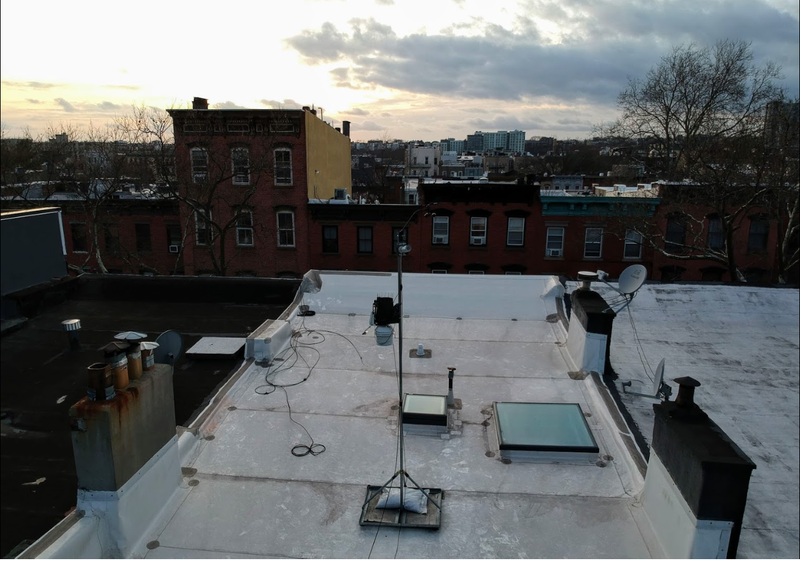 The station is a wireless Davis Vantage Pro2 Plus 6163 with UV and Solar Radiation sensors and a fan-aspirated radiation shield for more accurate temperature readings in direct sun. It is attached via a Davis Weather Envoy to a desktop PC with 8GB of RAM running Windows 7 (holding out until the end!) All real-time data including the graphs and gauges are generated using Weather Display. Davis Weatherlink is also used to produce the daily historical graphs. The website was designed using Adobe Dreamweaver CS4. This site is a template design by CarterLake.org with PHP conversion by Saratoga-Weather.org. Special thanks go to Kevin Reed at TNET Weather for his work on the original Carterlake templates, and his design for the common website PHP management. Special thanks to Mike Challis of Long Beach WA for his wind-rose generator, Theme Switcher and CSS styling help with these templates. Special thanks go to Ken True of Saratoga-Weather.org for the AJAX conditions display, dashboard and integration of the TNET Weather common PHP site design for this site.